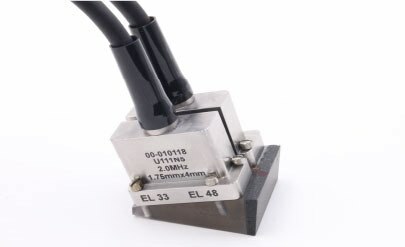 Utilizing state-of-the-art piezo-composite elements, SensorScan™ transducers are offered with Quick Swap wedges for shear-wave weld inspection, new MCX-style, low-profile, swivel connectors in a wide variety of sizes and frequencies. All transducers are shipped with certification documents including RF waveform, frequency spectrum and average center-frequency calculations. 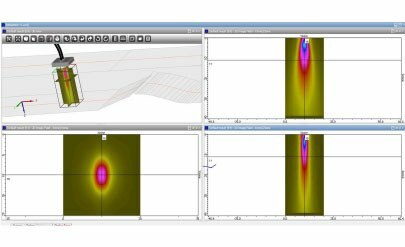 Not sure which is the smarter choice for your application? 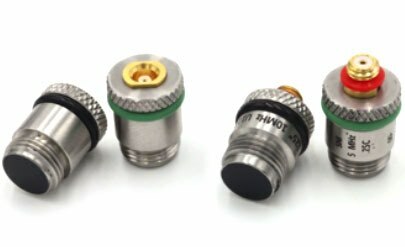 SensorScan™ “Quick-swap” transducers are available with micro-dot or MCX-style connectors in several frequencies, bandwidths & diameters.